I just love Pork Carnitas! These are a more healthier version than traditional but they still taste great! They do take a bit of prep time and marinating time but they do cook fairly fast in the Instant Pot, so be sure and make a full batch (you can always freeze the leftovers). I usually buy a 15 lb pork shoulder from Costco and cut it into 3 (5 lb.) portions. I freeze two portions for later for more Instant Pot Pork Carnitas or for Kalua Pig. Also be sure and use fresh oranges and limes in the marinade. You can marinate them 3 hours but for best results, let them sit in the marinade overnight. 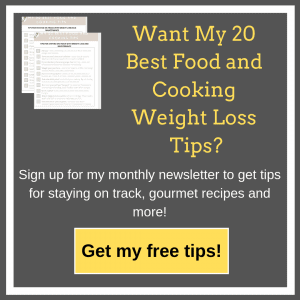 Don’t skip the last important step – broiling. This makes them a bit crispy but oh so tender. Serve with tortillas, rice or use the meat for a delicious taco salad. Pork Carnitas are the perfect main dish to serve at parties. You can have the meat done ahead of time and reheat it when the time comes. I like to serve the carnitas buffet style on my kitchen island bar: meat, grilled veggies, greens, shredded cheese, salsas (such as my Tomatillo Salsa, both the mild and hot version), my Jalapeño Cream and homemade tortillas. Everyone can help themselves. It’s a great party menu as the guests can customize their own, if they are gluten free, they can put it over the greens, if they are dairy-free, they can skip the cheese and Jalapeño Cream. Delicious pork carnitas made in your Instant Pot and crisped in your oven. Make a big batch and freeze some for later! Trim the pork shoulder and cut out as much of the excess fat as possible. Just do your best, you won’t be able to get it all and that’s ok. Just cut out the main fat pieces. Cut pork into 2 inch cubes. In a small bowl mix together smoked paprika, chipotle powder, granulated garlic, cumin, oregano, kosher salt, and black pepper. In a large bowl with your hands combine pork pieces, combined spices, onions and garlic. Massage the spices and onions thoroughly into the meat. Add squeezed oranges and limes to the pork mixture. Combine well. Marinate the meat for at least 3 hours or preferably overnight. Take the meat out of the marinade and reserve marinade. If using Instant Pot: Brown meat in batches in the Instant Pot on saute setting with a little olive oil sprayed (Use my Olive Oil Sprayer) in bottom of pot. Or use a non stick skillet on the stove to brown the meat. Sometimes I find this is easier than browning a lot of meat in the Instant Pot. When finished browning, put all of the meat back into Instant Pot. Turn off pot, then add marinade to the meat mixture. Press manual (or pressure cook on some models) and using high pressure, cook for 90 minutes. Allow steam to naturally release. If meat doesn’t fall apart, reset pressure cooker for a few more minutes until done. If using crock pot/slow cooker: Brown meat in a skillet. When finished transfer meat mixture into slow cooker, add marinade back in. Cover and cook on low heat for 8 hours or high for 4-5 hours. When meat is finished, remove pork shoulder from Instant Pot or slow cooker with a slotted spoon and shred the meat. Pour the juices into a fat separator. After the fat rises to the top, pour juices back into Instant Pot or slow cooker. Then return meat to the juices. Allow to sit for a few minutes so the juices penetrate the shredded meat. Preheat oven to broil. 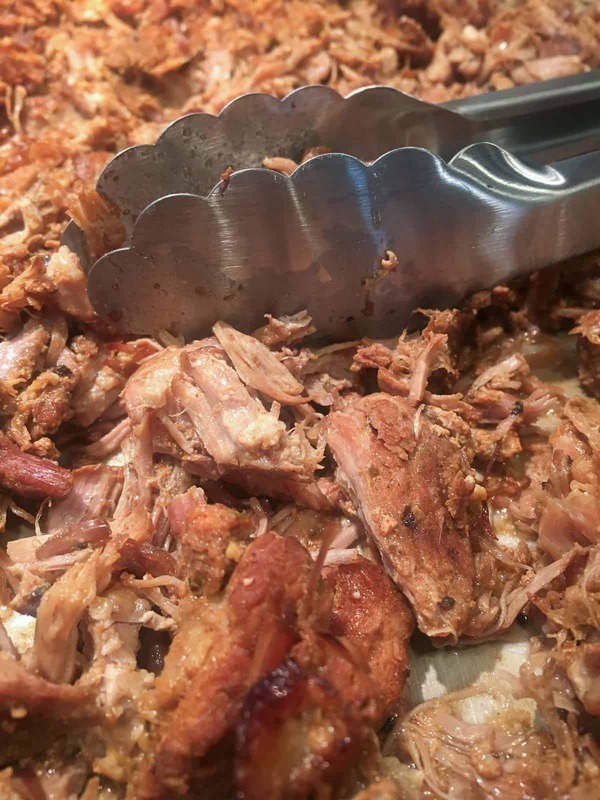 With a slotted spoon, place carnitas (leave most of juice in pot) onto a baking sheet, season with salt and pepper and broil until crisp about 3-5 minutes. Stir then add a bit more juice if needed, and broil about 3 minutes more. Just broil the amount you need for serving if you plan on freezing the left overs. When you’re ready to use the frozen meat, thaw, reheat, then broil for a bit to keep the edges crisp. Scrumptious Turkey Sliders - Really! 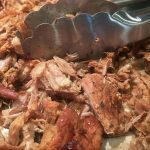 3 Replies to "Pork Carnitas - Instant Pot and Slow Cooker Directions"
Carnitas are one of my favorite taco fillings! I may just have to break out the Instant Pot and give this one a try! Thanks for joining Crockpot Monday to day and sharing this delicious recipe! It’s great with the Instant Pot or crock pot but I prefer the Instant Pot, more tender. Thanks again for inviting me!